Have you seen an all-weather-golf course in the Philippines yet? Well if not then I recommend you to visit The Cliffs Golf Course located within Thuderbird Resorts Poro Point in La Union. 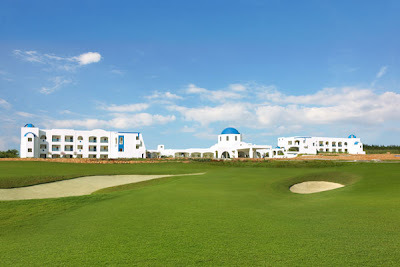 The course is within the luscious, white sand beach, and eye-catching scenery offered by a top resort and hotel in the country, Thunderbird Resorts. 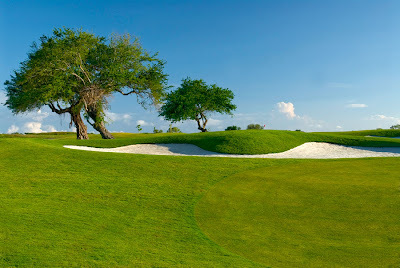 The Cliffs Golf and Beach Club is a Par 72 Golf Course designed by IMG. This course is located at the highest point of the Poro peninsula and offers everyone a variety of terrain, character, and contour. The design is in accordance to the specifications of the US Golf Association. You will also be captivated with stunning views from each of the holes of this all-weather golf course. 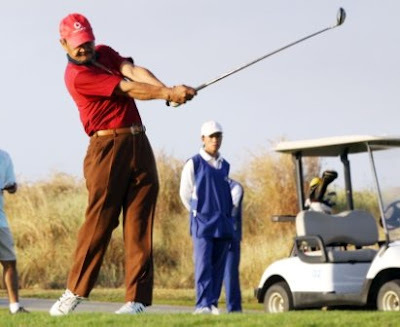 Take a note of this folks, this December, The Cliffs Golf Club will have a Year-End Tournament and Club Membership. For those who are interested you can contact Golf Manager Joselito Santos, Mobile No. +63917.586.5048. Why be a member of The Cliffs Golf Course? Well, aside from enjoying member's privileges at the golf course you will also enjoy exciting perks at Thunderbird Resorts Poro Point. This resort is reminiscent of the Santorini Island in Greece. It is located on a scenic cliff, overlooking the sandy beaches of the South China Sea. Have a once in a lifetime experience by strolling on the beach, have a good tan, or go for the water sports. For ore information just visit www.thunderbird-asia.com and become a Thunderbird Resorts certified Facebook fan page member (they also give great perks here0.